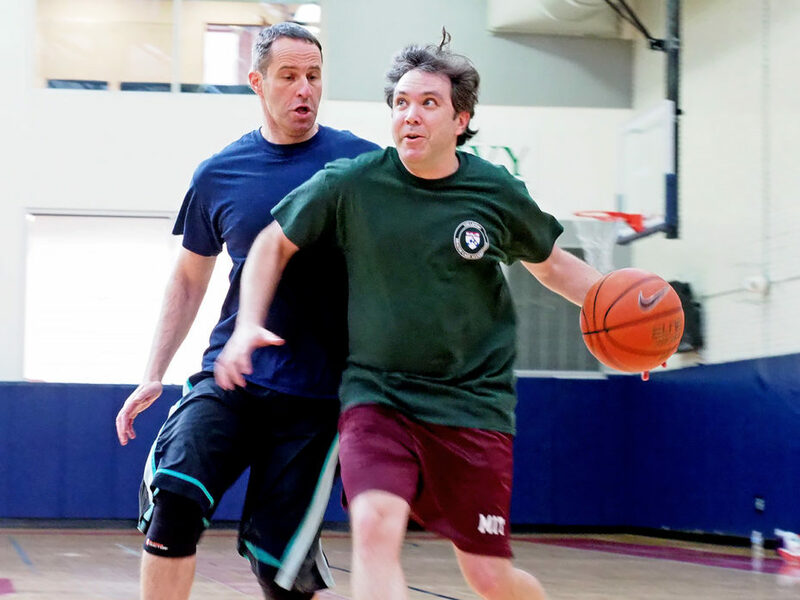 Now in its fourth year, the annual Wharton Health Care Management Department Student-Faculty Basketball Tournament has become a cherished tradition for both professors and PhD students at Wharton. It’s not all business in Wharton’s Health Care Management Department. 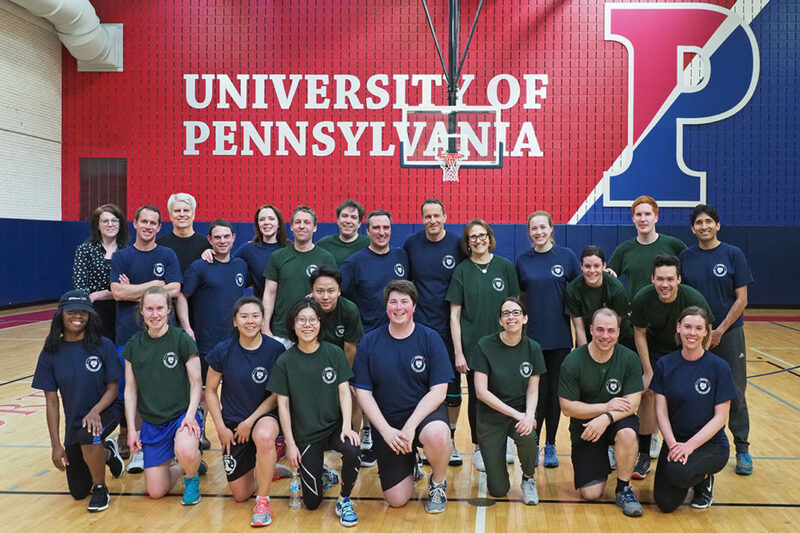 PhD students and faculty took a break from the classroom and took to the floor in Penn’s Rockwell Gym for their fourth annual student-faculty basketball tournament. The 2018 tournament played out a little differently than the game has in years past. Traditionally, an all-faculty team faced off against an all-student team — but, after three consecutive years of overwhelming victories for the faculty, they decided to go with a more balanced approach. Wharton Associate Professor Guy David and Law School Assistant Professor David Abrams duel for position and possession. Courtesy of the Leonard Davis Institute. Professors and PhDs played alongside each other as teammates on the blue and green teams. With an ending score of 29-23, they played a fiercely competitive game right down to buzzer. The Wharton faculty/PhD basketball team members of 2018. Courtesy of the Leonard Davis Institute. For a play-by-play of the game, check out this photo page of 2018 Wharton Student-Faculty Basketball Game put together by Hoag Levins and Megan Pellegrino-Zubricky. This yearly tradition was born in 2015. Shortly after he was named Wharton Health Care Management Department (HCM) Doctoral Coordinator, Associate Professor Guy David, PhD, began looking for more ways to promote physical faculty-student interactive and immersive activities. “Basketball was just the most obvious choice for me,” he said. David and then-PhD student Julius Chen, GRW’16, (now PhD and Research Associate in Health Care Policy at the Harvard Medical School) began kicking around the idea of an annual faculty vs. PhD student basketball game. Neither had played on school teams but both were long-time avid fans of recreational court play in their neighborhoods. The idea caught the attention of HCM PhD Program Associate Director Joanne Levy, who began organizing the first event. The response from interested players was very enthusiastic and the game turned out to be a real competition with referees, scoreboards, and a lot of elbows and knocked-to-the-floor wrestling matches over ball possession. The tournament was a success and now in its fourth year, has become a new department tradition cherished by both students and faculty.